The Consumer Financial Protection Bureau will audit about 800,000 private student loan accounts to determine if the trust responsible for the loans followed the law when collecting payments. The CFPB got involved after it was revealed in July that records for at least $5 billion in student loans owned by National Collegiate Student Loan Trusts were missing important documents necessary to prove that the borrowers owed the money. In some cases, faulty records said borrowers owed money for an education they never got at schools they never attended. National Collegiate is a series of 15 trusts that manages about $12 billion in private student loan debt, including the $5 billion that’s called into question. National Collegiate does not have employees but instead subcontracts debt collection to its servicers. Still, according to a federal court complaint filed by the CFPB, the loan servicers acting on behalf of the trusts sued borrowers who were in default. Of those lawsuits, the majority of the victories in court came only if borrowers didn’t show up to defend themselves. The CFPB questioned the validity of at least 2,000 lawsuits saying National Collegiate lacked the paperwork to prove ownership of the loans. It also accused servicers of filing documents that “falsely claimed personal knowledge of the account records and the consumer’s debt” and of notarizing more than 25,000 documents without witnessing the signatures. According to the CFPB, this is a violation of the Dodd-Frank Wall Street Reform and the Consumer Financial Protection Act. The CFPB recommends that National Collegiate repay court costs, and garnished wages and Social Security checks of borrowers who lost court cases. At least $3.5 million of the recommended payout will go to the 2,000 borrowers who made payments after they were sued despite the lack of appropriate paperwork proving the borrower owed money. The CFPB will hire a private contractor to conduct an audit to determine if more of the 800,000 National Collegiate-held accounts should be added to this group — or if any of the $5 billion in questionable loans should be dismissed. The remaining $15.6 million will be split evenly between fines paid to the U.S. Treasury and the CFPB’s civil penalty fund. In addition, the CFPB recommends that Transworld Systems, a National Collegiate student loan servicer, also pay a $2.5 million fine to the civil penalty fund. In addition to the fines and restitution, the CFPB demands that National Collegiate and its servicers change its practices. The CFPB has demanded that National Collegiate honor statutes of limitation that make it illegal to pursue payments for old loans. The CFPB found at least 486 cases in which lawsuits were filed after the statute of limitations had expired. 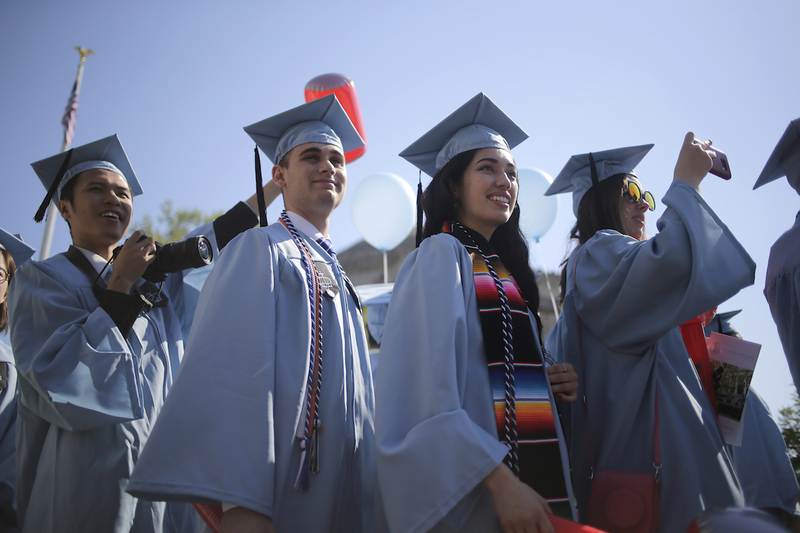 National Collegiate would also have to stop collection attempts on debt that lacks documentation proving the borrower owes the money and filing improperly notarized documents. The proposed changes and fines must be approved by a judge before National Collegiate is required to pay fees or dismiss debt. The accounts in question are all private loans, not federal student loans.